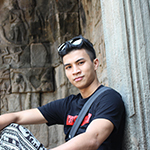 When you mention traveling to Vietnam, what jumps into your mind? The history, heritage sites, landscape, feudal culture are what you heard mostly. This 4-day private tour includes all of these elements. 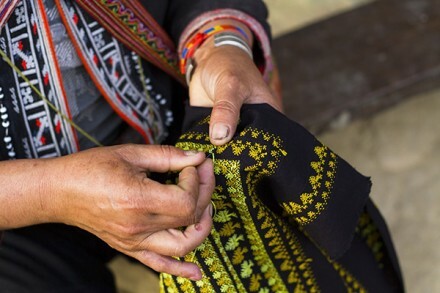 Devote yourself to the highlight of the tour — the half-day experience at traditional handicraft village in Hoi an. 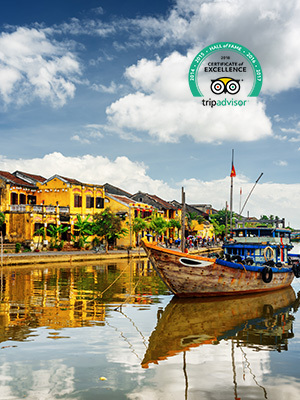 Enjoy breathtaking mountainous scenery and historical sites in the way from Hoi An to Hue, taste the exquisite life style by wondering in beautiful town, along Dong Ba rivers. 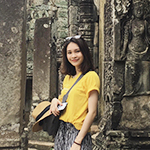 Finish this comprehensive Vietnam journey by immersing yourself into the glory history and stories of imperial family in a historic citadel. 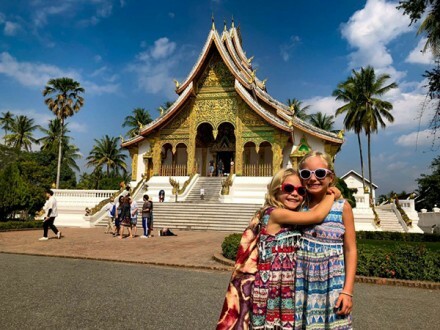 Da Nang departure: After your flight lands at Da Nang airport, you will be met by your tour guide at the arrival hall, and will transfer you to your hotel by private car and driver. It takes about 40 minutes to move Hoi An town. 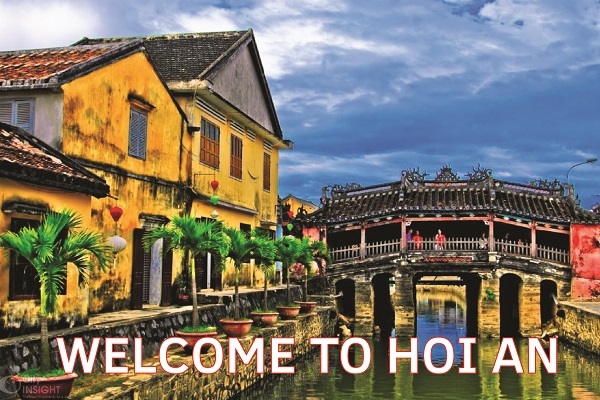 Hoi An welcome: Graceful, historic Hoi An is Vietnam’s most atmospheric and delightful town which was listed as a UNESCO World Heritage site in an effort to preserve its core of historic architecture, a stunning mix of Vietnamese, Chinese, Japanese, and European styles in 1999. 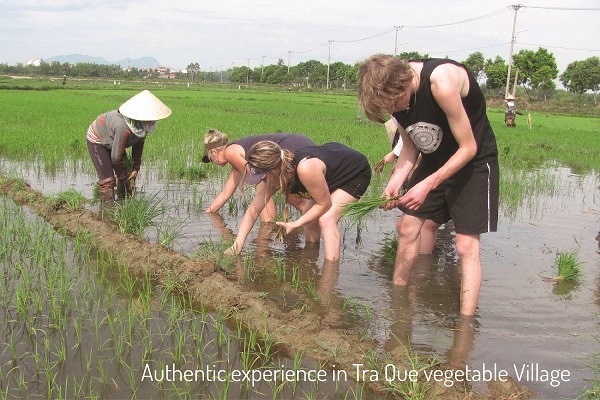 Your energetic day will be spent discovering the local life of farmers in Tra Que – a small farming community located about 3 kilometers northeast of Hoi An and learning the history of the most highlight historical and architectural arts, etc. 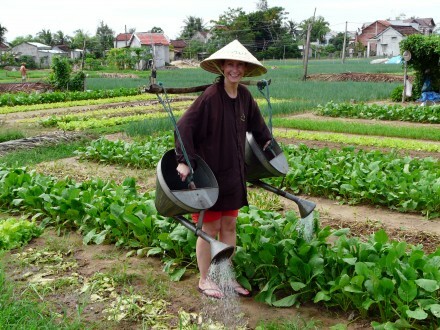 Take part in dying some work of the local farmers such as: watering and fertilizing and collecting vegetables…. 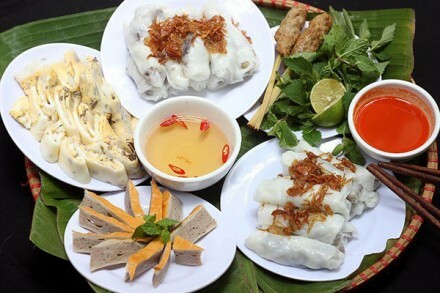 Be a guest at local resident house and learning how to cook some special local Vietnamese food. Hoi An Traditional Art Performance Theatre offers live performances of Vietnamese folk music and folk dance, is located on Nguyen Thai Hoc Street. 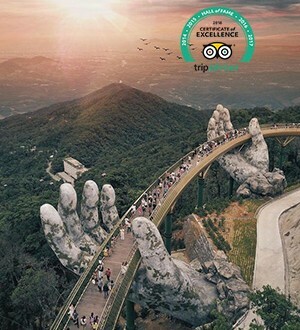 The show here is free if you have paid the entrance fee into the town (this ticket allows a tourist to see 5 attractions, sites or shows inside the town) and takes place from 9:00PM to 10:00Pm every day. Having chance to do some work of fame this day so you should dress convenient clothes. Having comfortable shoes to walk around. Kick off your day by enjoying breakfast and coffee in your hotel and get ready to catch beautiful scenes in this ancient town. 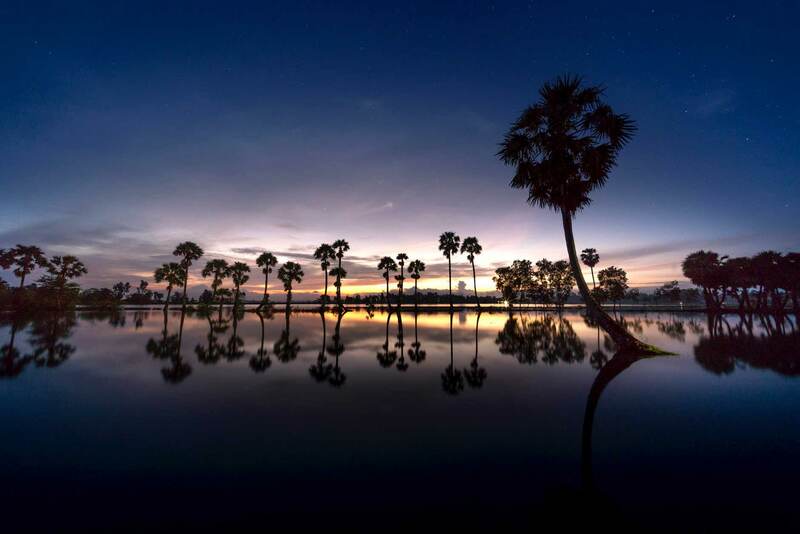 In the afternoon, you will leave Hoi An for Hue but firstly spend your day with wonderful scenery on the way of Lang Co beach, Hai Van pass, Marble mountain etc. 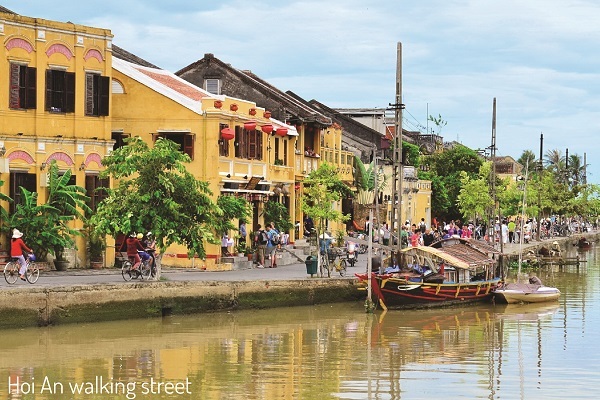 We start to discovery Hoi An on foot to take into the charms of this town. Its unique atmosphere has been created by a combination of Vietnamese, Chinese, and Japanese influences. The Fujian Assembly Hall, which is a great example of the Chinese architecture, is believed to be built by Chinese merchants of the Fujian Province. Marble mountain- a cluster of five hills made from limestone and marble, are a well-known pilgrimage site with peaks, caves, tunnels and temples all just waiting to be discovered. Cham museum founded in 1915, has the world’s largest collection of Cham artifacts, housed in buildings marrying French-colonial architecture with Cham element dating from the 5th to 15th centuries. Hai Van Pass crosses over a spur of the Truong Son mountain range that juts into the sea with the road climbing to an elevation of 496m, passing south of the Ai Van Son peak (1172m). It’s an incredibly mountainous stretch of highway – you may have seen the spectacular views on the Top Gear Vietnam special. 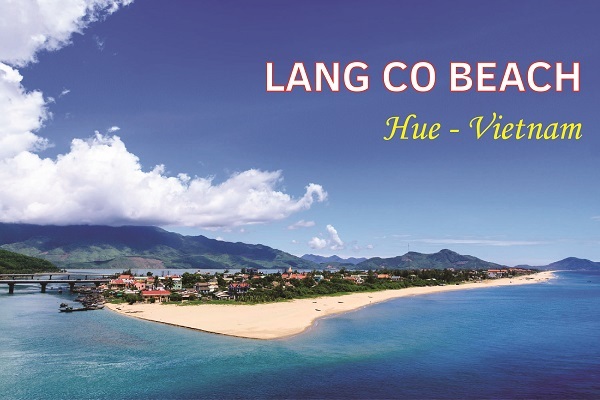 Lang Co beach is an attractive island-like stretch of palm-shaded white sand, with a turquoise lagoon on one side and 10km of beachfront on the other. Bun bo Hue (5 Nguyen Du St) is a favorite with travelers needing a hit of Hue’s cuisine, located in an interesting part of town, Chi Lang area- well worth exploring. 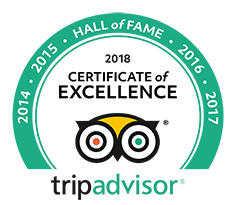 Les Jardins De La Carambole ( 32 Dang Tran Con St, Hue) is Hue’s most visually impressive restaurant set in a recreation French colonial villa not far from Hue Citadel with menu mixing up French, Italian, and Hue specialties. Mandarin (24 Tran Cao Van St, Hue) opened in the mid nineties will provide great local and international food and delicious fruit salads with friendly family atmosphere. 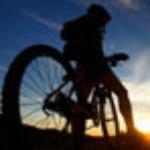 Taking some steps up marble mountain or easy climbing so you should take sport shoes. Check your luggage carefully and all your personal items of passports, visa etc. before leaving your hotel. 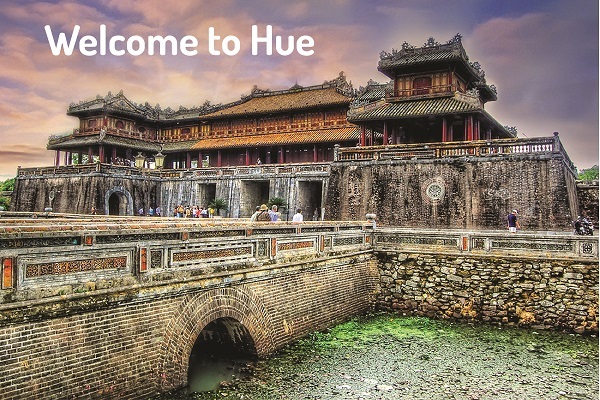 Hue welcome: Hue is located in central Vietnam on the banks of Perfume River, just a few miles inland from the East Sea. 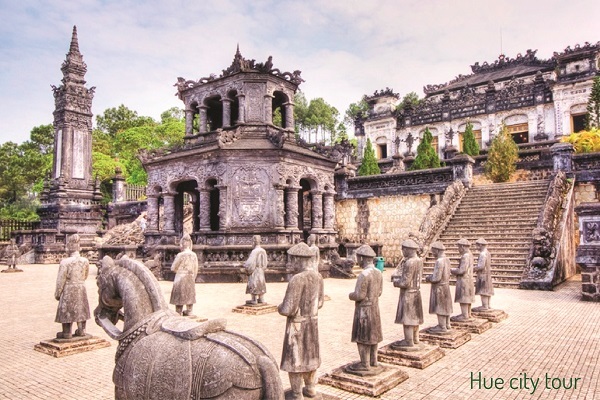 For approximately 400 years, Hue was the political and cultural center of the Feudal State of Viet Nam. This explains why there are hundreds of historical and cultural remains located in the area. 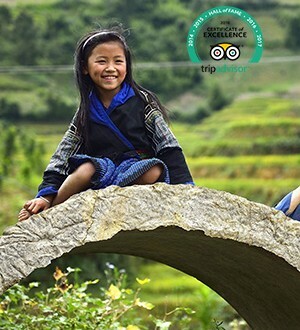 In the morning we will have chance to explore the inner charms of local people living culture and village beauties. Walk or cycle to Toa Kham pier- a French metropolis constructed in 1878, served the colonial administration. Experience on board along Huong river watching Bao Vinh old town which hosted a busy port in 18th century, had 39 old buildings standing at the end of the American War, is located five kilometers from the center of Hue City, along Huynh Thuc Khang Street and Dong Ba River, Bao Vinh is the meeting place of the Bach Yen and Dong Ba rivers. Drop in Sinh Village where traditional painting handicraft has been practiced for hundreds generation and get a chance to meet the artisans and learn more on their age old techniques. 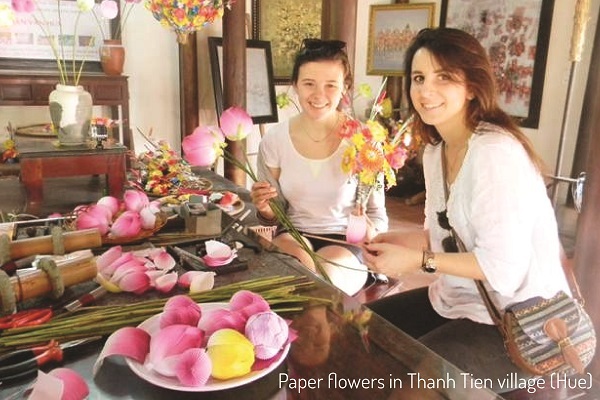 Stroll the small village of Thanh Tien which was traditionally the place where local craftsmen produced paper flowers, with techniques that had been passed down through the generations for hundreds of years. 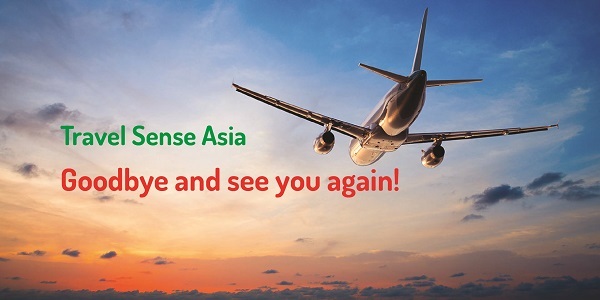 Taste the gentle and unique flavors of Hue cuisine while you are on board in extraordinary picturesque. Tu Duc’s tomb constructed between 1864 and 1867, is the most popular and impressive of the royal mausoleums. The enormous expense of the tomb and the forced labor used in its construction spawned a coup plot that was discovered and suppressed. 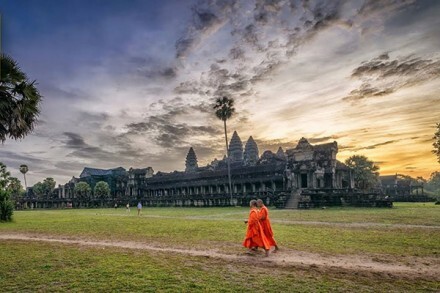 The Imperial Citadel built in the 11th century by the Ly Viet Dynasty, reflects a unique South-East Asian culture specific to the lower Red River Valley, at the crossroads between influences coming from China in the north and the ancient Kingdom of Champa in the south. Thien Mu Pagoda (namely Heaven Fairy Lady Pagoda), built on a hill overlooking the Perfume River, 4km southwest of the Citadel, is an icon of Vietnam and as potent a symbol of Hue as the Citadel. Unwind and enjoy the traditional tea ceremony of the former imperial capital of Vietnam Wounded Heart Tea Room (23 Vo Thi Sau St). Listen to Hue chamber music -a kind of scholarly musical art combined with the quintessences of the folk and chamber music, which performs everyday in Truong Sanh Residence (Hue Imperial City) at 10:00- 10:30 AM or 02:30- 03:00 PM (free of charge). 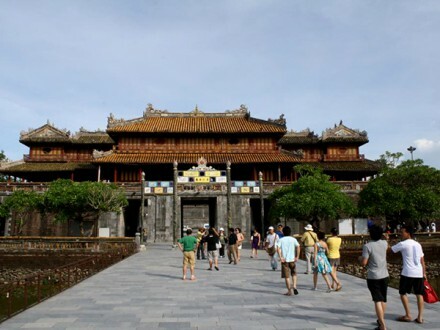 Hue goodbye: your four-day tour in Vietnam is coming to the end. You have free time on your own to walk down the street and pick up any great images to bring back to your country before being transferred to the airport. Free Approval document for Visa on arrival 1 month Single entry (no deduct if arrange the visa yourselves). 1 small bottle of water per person on day trip.